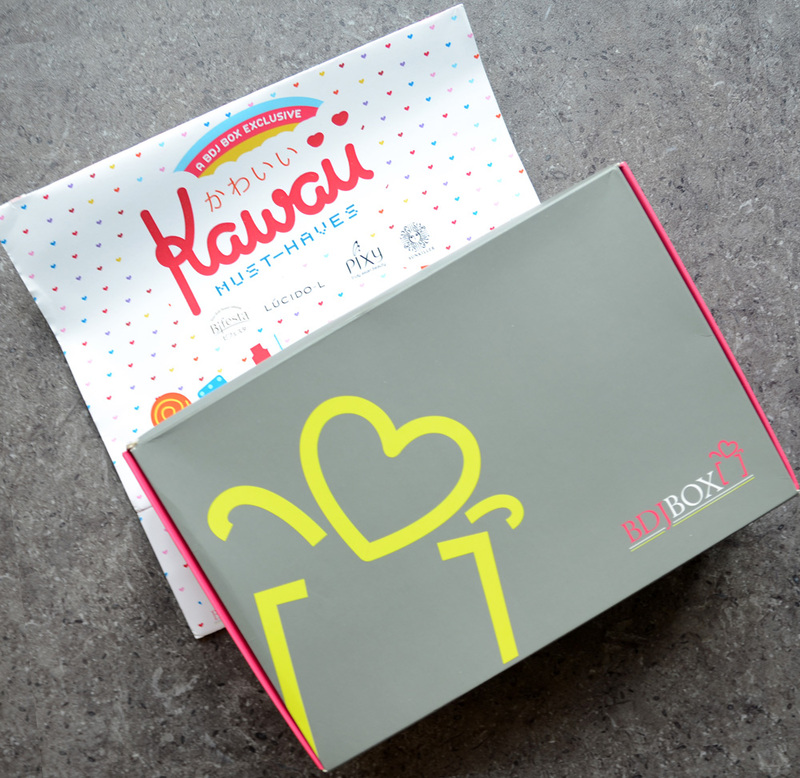 The BDJ Box for January-February 2015* is called “Kawaii Must-Haves.” If you didn’t already know, kawaii is the Japanese word for “cute.” The contents of this box are must-haves for you to be kawaii, apparently. I was pretty excited, not only because I want to look cute as frak, but also because I love Japanese beauty products. Bifesta Cleansing Lotion (300ml, Php 419) — I’d been wanting to try this for a long time, but never got around to actually buying it to try. It came at the most opportune time, as the cleansing water I’ve been working on for my Project Pan 2015 just recently ran out. Lucido-L Styling Milk (70ml, Php 295) — I got the variant “airy,” which I’m assuming makes your hair look a little windswept in a deliberate but kawaii way. These milks are formulated with hyaluronic acid. Lucido-L Treatment Oil Perm (50ml, Php 295) — This is an overnight treatment for treated hair, but it can also be used as a protective serum when you style your hair with hot tools. Pixy Eyeshadow (2.8g, Php 315) — I got a pretty useful neutral duo with a light lid shade and a darker one for gradation. It’s perfect for a simple or everyday look that you don’t even really have to think about! Pixy Blush On (3.5g, Php 345) — I think I received this shade already, so I’m passing this on to a friend. It’s a cute dusky peach shade that’s convenient to bring along when traveling. 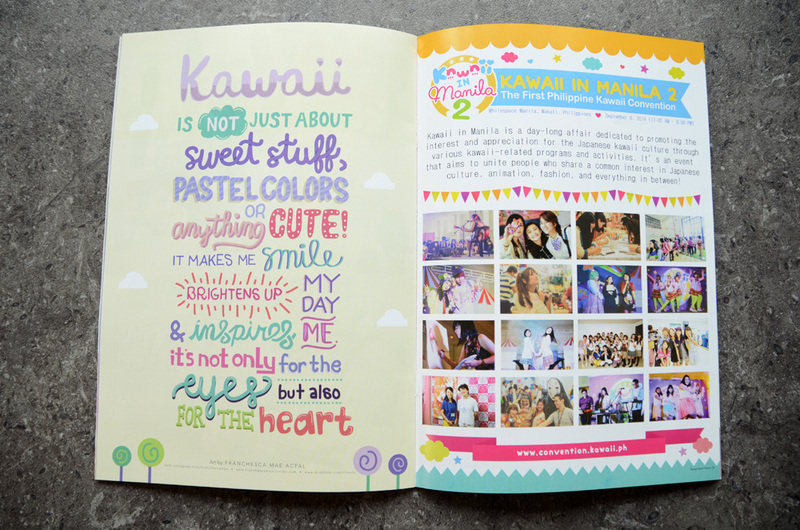 Pixy Two Way Cake Fit (12.2g, Php 275) — This is a “UV Whitening Powder,” and can be used wet or dry. It has SPF15 and squalane oil, which I don’t use anymore unless it’s derived from non-animal sources. Pixy Coverlast (10g, Php 325) — This is a new Pixy product to me! It has “microsphere powder” that covers blemishes in a natural and even way. It also claims to control oil and shine. Sunkiller Perfect Water Essence (30ml, Php 495) — Based on my experience with a Kosé water essence suncsreen, I’m sure I’ll end up liking this. It’s SPF 50+ and I’m hoping that, like the Kosé one I’m using up, it will play well with my dry skin, despite this humidity. I’m also LOL-ing at the name. 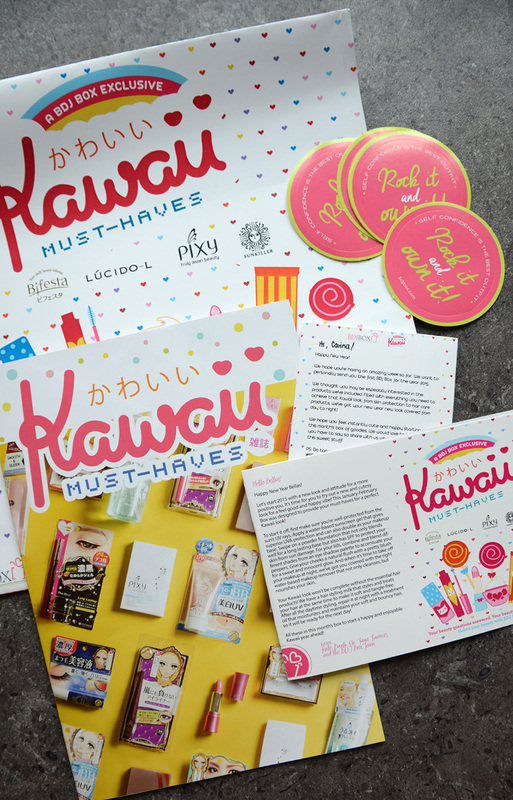 All in all, I think it’s a pretty good box if you want to sample Japanese cosmetics from head to toe. 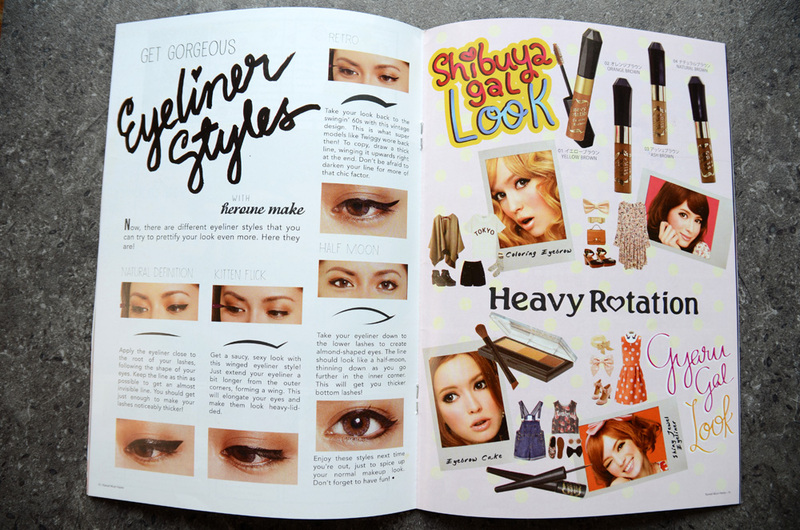 As a “kawaii must-haves” box, I think it’s missing liquid liner to be honest, but it otherwise covers most of the bases anyway. Sunkiller seems to have a wide range, though it’s worth owning one just to have the name around, hahaha. I got this box too but we have quite different products aside from the Pixy powders! My Pixy eyeshadow was a pink and shimmery duo, and my styling gels were for straight and curly hair (light blue and dark pink). As for my favorites, it has to be the cleansing water (yay for a cheap alternative to my Bioderma Micellar Water but works just as well!!) and the water based sunscreen. I got the Sunkiller Cool Perfect Strong that’s minty on the face. I say this because I went island hopping just yesterday and put it on my face. Was under direct sun for about 8 hours and I didn’t get sunburn or my face didn’t have an inch of redness or burnt feeling at all! I am so impressed. I will definitely be repurchasing this for summer. 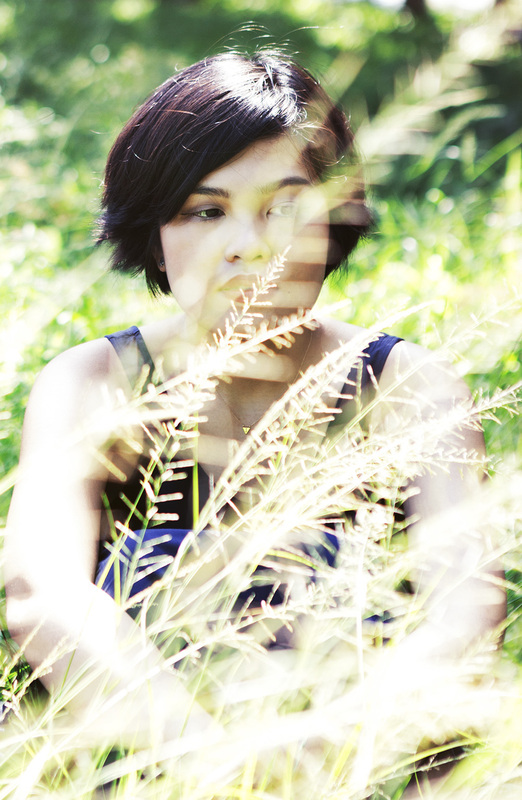 Carina! 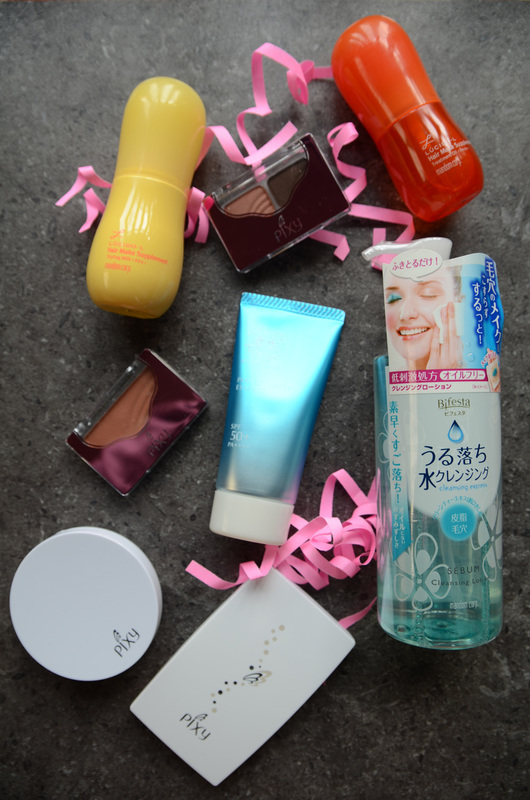 I noticed that you got the Bifesta cleanser for oily skin, in reading previous posts, did you say you have dry skin? I think using a cleanser/cleansing water meant for oily skin might dry up your skin more.